The calendar year 2017 was about paying it forward, as Morning Pointe Senior Living celebrated its 20th anniversary in a big way. The Chattanooga-based senior health care company has spent the past 12 months engaging with communities across the Southeast through volunteerism, setting a goal to give back 20,000 hours of service through the “Make Your Mark” campaign. As part of the yearlong project, volunteers and organizations were encouraged to make a difference through philanthropic projects, Alzheimer’s and caregiver awareness activities, intergenerational programming and more – all led by Morning Pointe’s residents and associates. But not only did Morning Pointe meet its goal – it doubled its efforts, clocking more than 40,000 hours with an estimated economic impact of nearly $95,000. Each senior living community gave back 1,300 hours on average, and the highest number of hours given by any one senior community reached more than 5,000. The campaign kicked off at each location with a 20th Anniversary Celebration, which included tours, guest speakers, unique programming, and an announcement of hundreds of community service projects all dedicated to their owner’s legacy. Founded in 1996, the locally based healthcare services company started with its two co-founders Greg A. Vital and Franklin Farrow, who share one vision to change the senior care industry. 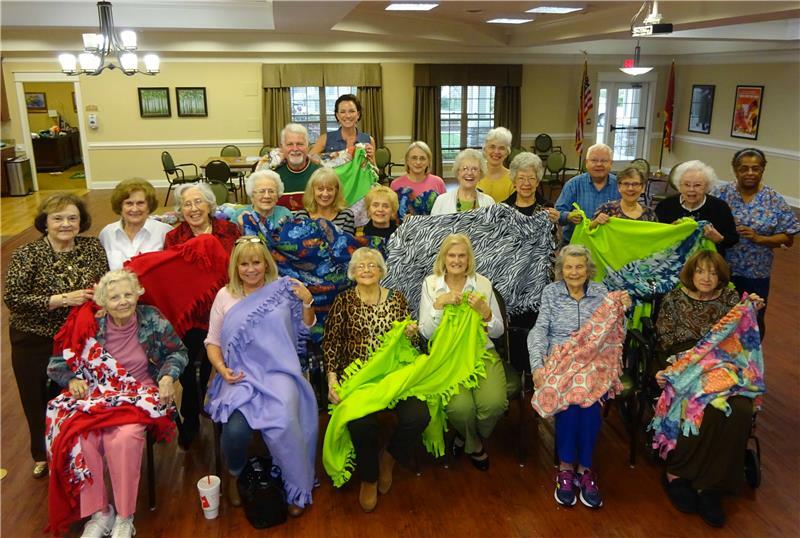 The company has since expanded to 30 Morning Pointe Senior Living and The Lantern at Morning Pointe Alzheimer’s Center of Excellence communities. The company now has more than 1,500 residents and 1,400 associates in Alabama, Georgia, Indiana, Kentucky and Tennessee. Five of the Morning Pointe campuses are located in the greater Chattanooga area. With a mission to serve seniors through a positive corporate culture that reflects Judeo-Christian values, Morning Pointe is committed to providing services that enhance the wellness, lifestyle and enjoyment of senior living in a secure environment that promotes hospitality, dignity, independence and quality of life. To complement Morning Pointe’s mission of care and compassion, Vital and Farrow created the Morning Pointe Foundation in 2014. The Foundation made its contribution to the 20th Anniversary campaign through scholarship programs awarded to regional colleges and universities. The 501(c)(3) organization creates community partnerships, scholarships and caregiver support initiatives in its mission to advance the care of seniors.